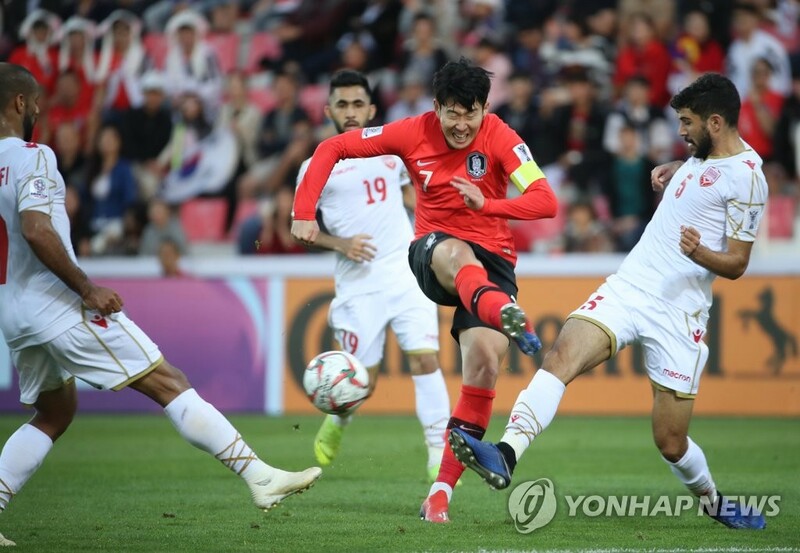 South Korea has crashed out of the Asian Football Confederation (AFC) Asian Cup in the quarterfinals after suffering a shocking 1-0 loss to Qatar on Friday. In the match held in Abu Dhabi, the Taeguk Warriors, led by head coach Paulo Bento, fell to Qatar, ranked 40 spots below Korea according to FIFA at No. 93, when Abdelaziz Hatim scored a goal in the 78th minute. Korea wasn’t able to find the back of the net. A free kick from Kim Jin-su came close, but hit the post and rebounded out of play. Korea went on the offense after Hatim scored. Just a minute after the goal, Hwang Ui-jo sent a cross from Lee Yong over the line, but the goal was disallowed as Hwang was offside. Korea called for a review, but the video referee confirmed the decision. This was South Korea's first loss of the 2019 Asian Cup and also the first since Bento took the helm of the national team last August.